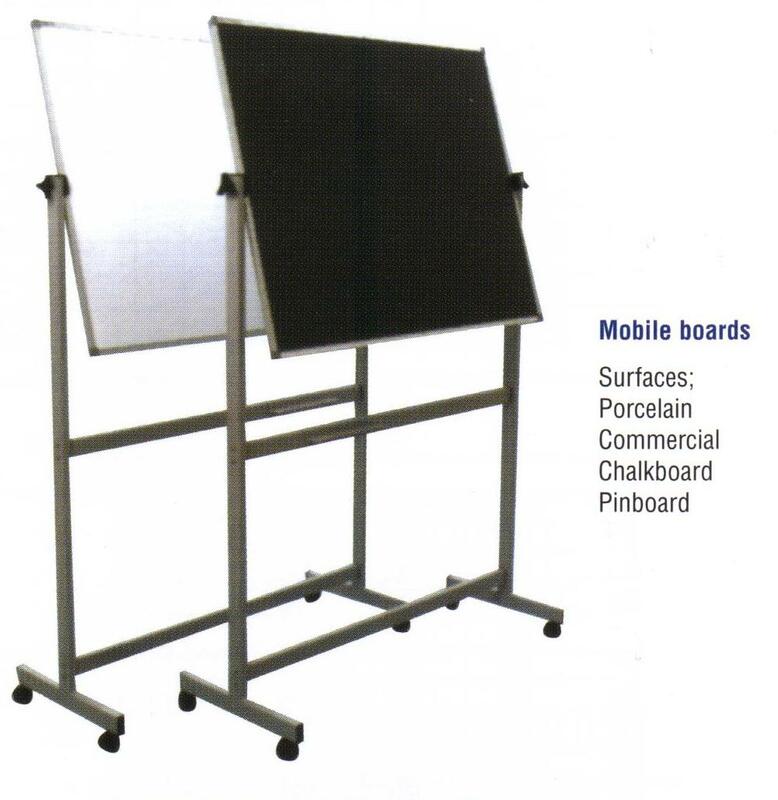 Mobile Porcelain Whiteboard with rotating board. Double Sided. Includes powder coated steel stand with wheels.